Effortlessly stylish, the Angelita Bar/Counter Stool adds a great modern accent to any setting. One look and you’ll be instantly impressed with its looks. The Angelita Bar/Counter Stool also offers an impressively comfortable seat at your counter or high table. 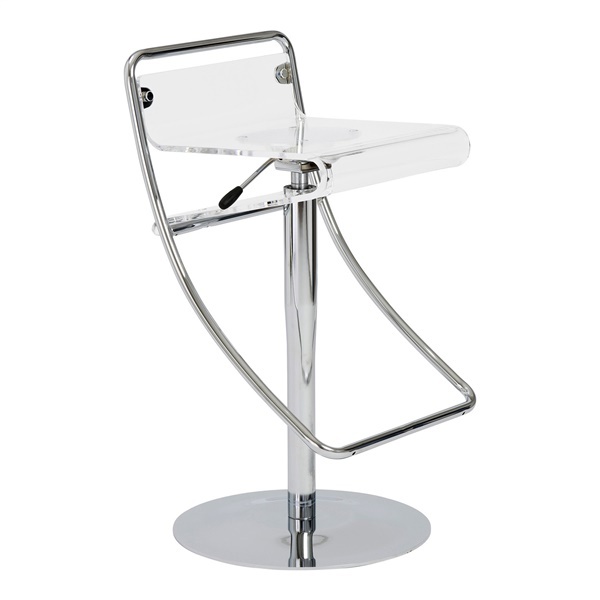 The Angelita Bar/Counter Stool features a seat made of clear acrylic. Its clarity makes it instantly captivating, and stylishly modern. Its seat is perfect paired with a chromed base and foot rest. It conveniently swivels and features a gas lift, making it easy to adjust its height to perfectly integrate with your counter or bar.